Marketo’s shift into private equity hands could provide the financial safe haven the vendor needs to realise its enterprise solutions ambitions, industry analysts claim. 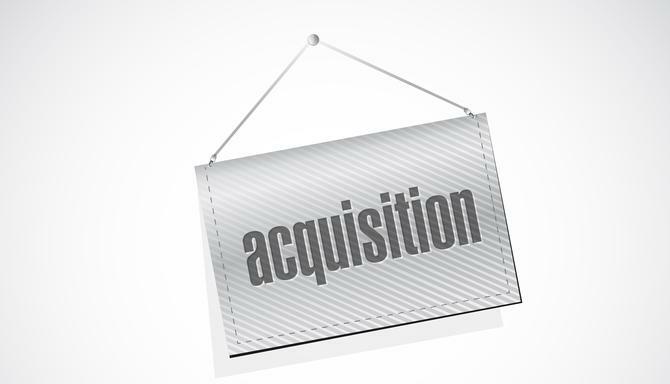 As revealed on Tuesday, marketing automation vendor, Marketo, is being acquired by private equity firm, Vista Equity Partners, for US$1.79 billion (AUD$2.47bn). Marketo shareholders will receive $35.25 in cash per share, a sum the company says represents a 64 per cent premium over its closing price earlier in May, before reports emerged that it was exploring strategic alternatives. The deal is expected to close in the third quarter of this year. IDC CMO Advisory analyst, Gerry Murray, saw private equity as the preferable path for Marketo’s management team. The question that continues to be asked is whether Marketo can sustain a best-of-breed play in a field that's full of consolidation. For Murray, that’s the big bet Vista is making. “Ultimately, it rests on Marketo’s ability to gain greater share in the enterprise segment,” he said. It’s this push up into the enterprise segment that’s the rationale behind Project Orion, Marketo’s wholly rebuilt back-end based on distributed computing infrastructure on Hadoop. Announced during the Marketo Marketing Nation Summit earlier this month, Project Orion is aimed at ensuring the vendor’s platform has the capacity to house every customer interaction an organisation, as well as analyse and act on customer engagement across the enterprise. Given Marketo’s core strengths and the size of the deal, remaining a best-of-breed player would be in both Marketo's and Vista’s best interests, agreed Pund-IT CEO, Charles King. “Absent some sort of unexpected disaster or breakdown, I expect that will be their working model in future,” he said. Yet some Marketo customers are worried by the acquisition, according to Ray Wang, founder and principal analyst with Constellation Research. He also predicted some talent exodus as a result of the news. "In the past, when Vista has made acquisitions like this, such as of Tibco, they've done weird things," he explained. Asking employees to take “weird management tests” is one example, he said. Private equity firms like Vista also "typically stretch out R&D investment," Wang claimed, pushing out deadlines on projects already under way. “What most of our customers are worried about is the lack of innovation that could occur, especially given Vista's reputation," he claimed. However, King noted Vista has assembled an impressive portfolio of business software and technology-enhanced companies to date. These include workflow management vendors, Autotask and Aptean, advertising software player, Mediaocean, email optimisation vendor, Return Path, enterprise data management provider, Tibco, and telecoms software solutions company, Telarix. “The VEP deal should allow Marketo to continue to operate as it has, albeit with the oversight/guidance of its new owner,” King said. “If a vendor like Microsoft or SAP had been the buyer, Marketo would, at best, have been incorporated as a new BU. That might have preserved much of the company's top talent but its marketing and sales organisations would likely have faced considerable consolidation. Murray agreed there is risk of talent loss and potential pressure to squeeze costs around any acquisition of this kind, but claimed any action like this by Vista would be self-defeating because Marketo would quickly lose market share and become less valuable. While Marketo has established itself as a leader in the lead-to-revenue space, Forrester analyst, Rusty Warner, said that from a revenue perspective, it has remained relatively small compared to the marketing clouds from Adobe, IBM, Oracle and Salesforce. "Marketo's own growth and its partnership with SAP were beginning to open more enterprise B2B opportunities, including deals outside North America, but even with aggressive investments in verticals like healthcare, higher education and financial services, only about a quarter of its customers are B2C organisations," he commented. "The lines are blurring in terms of the enterprise marketing technologies deployed for B2B, B2C, and B2B2C, but there are still vendors with strengths and weaknesses aligned with specific requirements. It will be interesting to see if Vista decides to focus more on Marketo's leadership for B2B versus its traditional competitors or continue to invest in B2C sectors - at least those with lead management requirements - against stronger digital marketing competitors." Marketo isn’t the only martech player to gain private equity owners this year. In April, Marlin Equity Partners acquired Teradata’s marketing assets for US$90 million, a bargain price tag far lower than the US$525m the vendor paid to acquire Aprimo, the foundation for its marketing tech stack, in 2010. European private equity firm, EQT, also snapped up a majority stake in digital experience management platform, Sitecore, in April. The deal valued Sitecore at about 1 billion Euros (AUD$1.54bn). Founder and principal analyst of Raab and Associates, David Raab, said the rise of private equity in the martech space reflected the fact that many of the major buyers, such as Salesforce, IBM, Oracle and Adobe, have already bought or build marketing automation systems. He agreed one of the few remaining software giants that hasn’t, Microsoft, who was also rumoured to be considering purchasing Marketo in recent weeks, is a different story. For Murray, private equity investment into martech signals a more mature phase of management based on long-term strategy. “Growth for growth’s sake is over,” he claimed. “The marketing cloud did not fit Teradata’s business model; this a very different case. Marketo has a much larger customer base and a vision of where it wants to go with the new capabilities provided by Orion. Two to three years from now, if Marketo is successful in gaining share of global brands, there will still be demand from companies looking to fill in the marketing gap of their customer-facing IT infrastructure portfolios, and they will have to pay even more for Marketo then. King believed growing interest in martech reflects a "general unfamiliarity" with the expanding range of technologies available for marketing efforts and organisations. These include increasingly complex commerce strategies, spanning a variety of online and offline environments; access to masses of unstructured/semi-structured information and analytics tools that can granuly parse customer behaviour. "Most individual businesses don't have the means to navigate this new world of commerce so opportunities abound for martech companies with provably effective solutions," he said. Alongside the recent martech acquisitions, Warner pointed out SDL's marketing assets, including campaign management, analytics, email, social media, and ecommerce recommendation capabilities, are currently on the market. "There is clearly an appetite for private equity investments in enterprise marketing technology where investors believe they can create challengers to the big marketing cloud vendors - or at least capitalize on growing technology budgets among marketing organisations," he added.